Here at ACC, we make it a point to support long-lasting change that empowers our clients and strengthens their resilience. Part of this work comes with understanding how technology is integrated with our lives and how we can use it to contribute to our overall wellness. 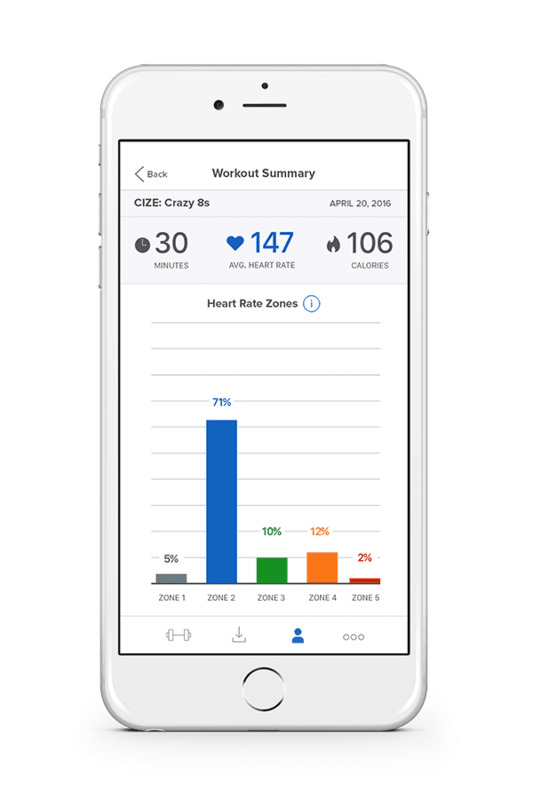 Technology has helped support the therapeutic process by developing applications that work on mobile devices to help us stayed attuned to our goals and strengthening adaptive and positive behaviors. That’s why we thought for this week’s blog we’d put together our list of 5 apps that we regularly encourage our clients to check out and use for their physical, emotional, and psychological well-beings. 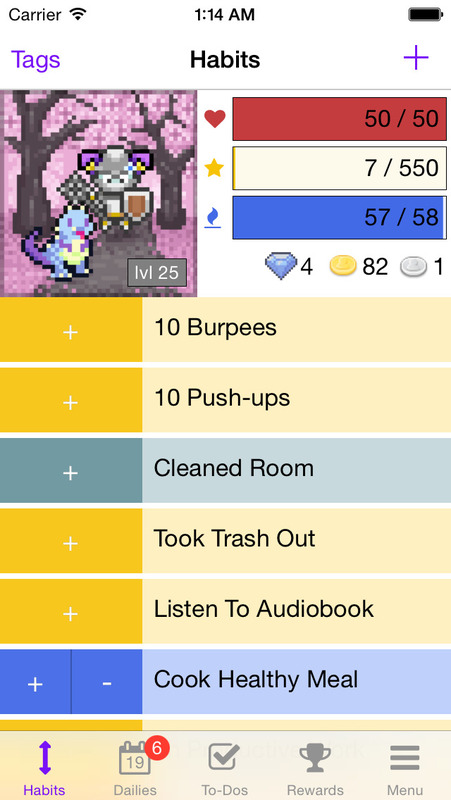 Habitica is a productivity and habit-reinforcement app that encourages individuals with their goal-setting by using game oriented mechanics to keep you on track. After completing tasks or checking off daily habits, Habitica rewards you by leveling up your Avatar or providing gear for battles. Task management and keeping up daily habits can be difficult when it feels like a routine. The idea of positive reinforcement has been studied and supported for decades and the conclusion is always the same: we will engage in a behavior if we receive pleasure from doing so. Getting awarded for working towards reducing a habit or towards a goal is a double bonus! 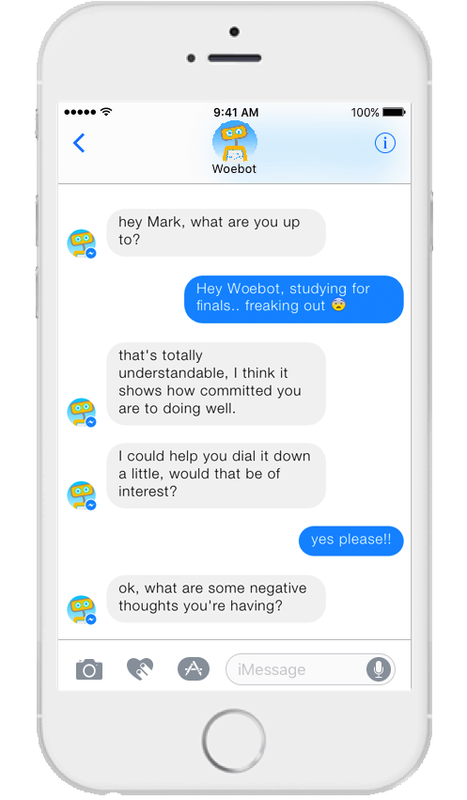 WoeBot is a daily check-in App that uses a Wall-E type robot to help you learn what cognitive distortions are and how to challenge negative thought processes that can fuel anxiety and depression. Cognitive behavioral therapy is one of the most effective therapeutic approaches for anxiety and depression. It’s the main form of therapy our counselors at ACC practice. We help provide clients with the language to catch themselves in the moment and WoeBot reinforces those lessons which saves time in the counseling session. Calm app is the 2017 recipient of Apple’s Best App of the year. It’s recognition is paramount on so many levels. Not only is it an app dedicated to mental health and well-being, thus continuing to support destigmatizing mental health services, it is scientifically backed in its effectiveness. This is the app that one of our counselors, Edi Wade, recommends the most. Why? She personally uses it in her own life and sees it’s benefits. This isn’t just a meditation app. It also has a sleep stories feature that aids in quieting that annoying monologue in your head at the end of the night. Recently, Matthew Mcconaughey narrated a story. MATTHEW….MCCONAUGHEY. Imagine getting to fall asleep to that dreamy voice. The app also features meditative music for sleep and focus, as well as guided meditations that are easy to follow and comfortable to listen to. Do we really need to say more? It’s awesome. Go download it. Beach Body is an online workout company that is responsible for the oh so painful and oh so intense P90X workouts. Those workouts are incredibly intimidating and not for the faint of heart, however, have no fear because those aren’t the only kind of workouts available. There are great and challenging workout for beginners to pros and expecting mommies to young professionals. It’s inexpensive, it’s mobile, and it’s body positive. Often times our clients rule out daily exercise due to inconvenience of schedule or cost. However, a yearly subscription to Beach Body is around the cost of a nice gym’s monthly dues. The workouts range from 10 minute ab workouts to an hour and a half of deep stretching, soul refreshing yoga. The trainers are body positive and encourage you to focus on becoming stronger and more resilient vs. skinny and more skinny. Our counselors have also seen personal effectiveness in using this app. Brain HQ is a “brain training” program. It compiles a multitude of cognitive exercises designed by scientists and professionals all around the world that are designed to strengthen memory, concentration, and executive function. The science shows that chronic anxiety and depression leads to a decrease in executive functioning and the ability to perform cognitive tasks. Many times, our clients are concerned about their ability to concentrate and perform work tasks. We recommend this app in order to support the cognitive process and to help show our clients how capable and resilient they are when it comes to reshaping their minds for their emotional and cognitive selves. Anxiety is one of the most common reasons individuals decide to start the therapeutic process. Often times, their main priority is understandably to get control of their anxiety as soon as possible. While we work with clients to help them gain insight into the root causes of their anxiety, skill-based approaches help with the immediate and behavioral components of anxiety. Here are 10 of the most common tips we give our clients who are working towards controlling their anxiety. We can’t stress the importance of controlling and easing breath in the midst of anxious feelings. To do so, breath in normally through your nose and exhale for 30 seconds. Repeat as long as it takes to decrease the feelings of panic. Note: you may still be anxious after this but will be able to think clearer to problem solve or use other coping skills. if you find that you are ruminating around the clock on things you are worried about, set aside a specific time to let your worried thoughts run rampant. Limit this rumination spree for 5-10 minutes, after which, you no longer allow yourself to dwell on the issue for the rest of the day until your scheduled appointed time the next day. Often times when we start feeling overwhelmed and anxious we stop engaging in activities or socializing with people in our lives. The problem with this course of action is it creates the false sense that by focusing only on the anxiety the problem will be solved. Since anxiety is fear of the future unknown, the problem won’t be solved until the moment arrives. Therefore, staying busy reminds you that you can’t do anything about what your anxious about now. We get so caught up in life that we forget that we have to be doing things that recharge our batteries. This helps decrease vulnerability factors and allows us to better manage stress and anxiety. This can be as simple as taking a bath while listening to music or taking your dog — or neighbor’s pet — out for a long mindful walk. Speaking to others about our worries helps release pent up anxieties and emotions which can reduce the intensity. Understand what is in your power to control. There’s tons of research that shows the benefit regular exercise and eating healthy has on emotional health. Exercise releases “happy” neurotransmitters that can lift our mood. Healthy guts are getting increasingly linked to healthier emotional functioning. Sleep is one of the most important factors to decrease stress, depression, and anxiety. If you are having trouble falling asleep, follow the skills in this list to decrease rumination on worries. If you are struggling with sleep for more than a few days, you might want to seek medical advice about possible sleep aids. Draw a tic-tac-toe chart on a piece of paper. 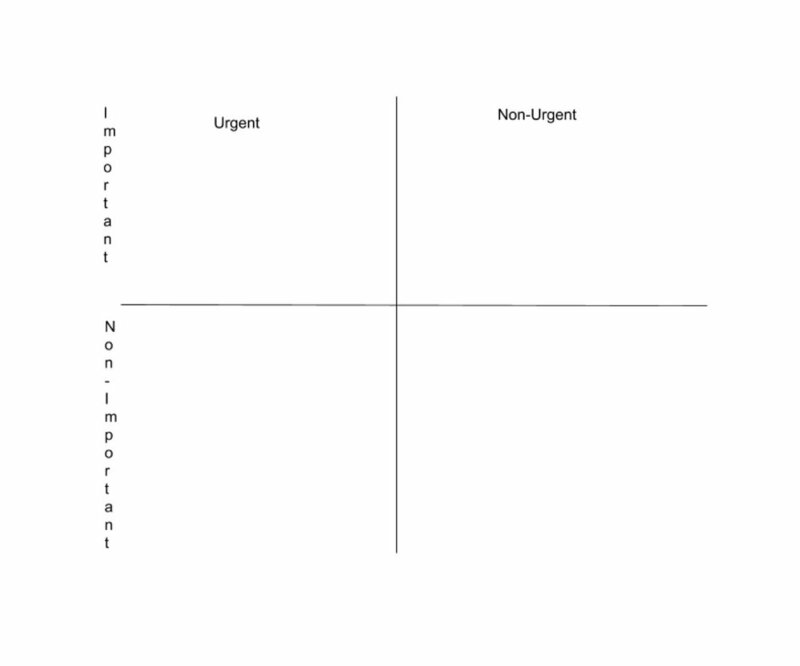 Label the top row “Urgent" and “Non-Urgent” and the Left Columns “Important” and “Non-Important” Respectively. Everything considered urgent needs to be done within 24-48 hours. Everything else can wait. Prioritize starting at Urgent and Important and work your way through the chart until you’ve completed your tasks. Managing anxiety is all about using as many skills and techniques as you can that are effective and congruent for you. Which of these did you find the most helpful? We’re happy to announce that Atlanta Counseling and Coaching has moved to the heart of Atlanta in order to better serve those who have made the brave and bold decision to pursue individual counseling, independence coaching, group therapy, or couples counseling. We’ve been striving to find a location more suited for current clients as well as wanting to be more accessible to college students, working professionals, and families who are needing more convenience in order to maintain regular mental health care. We also have big plans for expanding as a practice and becoming a source of Atlantans who are seeking to promote wellness in all aspects of their lives. Other than a more convenient location for therapeutic services, we’ll be starting to offer a wider range of services as well as workshops for our neighbors and helping professionals. Are mindfulness and gratitude at the top of your 2019 resolutions? One of the easiest ways to be mindfully engaged and working on a grateful heart is to think about what you do everyday as something that adds to your well-being vs. hinder it. We came up with a quick list of such activities. Can you add 25 more? For more tips and encouragement on how to stay emotionally healthy, check out our weekly blog posts! Hello, my name is Edi Wade, and I'm a mental health counselor at Atlanta Counseling and Coaching! My journey to becoming a counselor started the Summer of 2012 when I experienced a moderate panic attack and got rejected from nursing school all within a couple of days. The day after the panic attack, I drove back to Gainesville, Florida where I attended undergraduate school (GO GATORS!) and began seeking counseling services. Needless to say, I was struggling with anxiety and life transition issues. After several weeks of counseling and changing my major three times in a day (such a millennial move) I landed on studying Family, Youth, and Community Sciences. On my first day back of my junior year of college, the professor of the introductory course for this major discussed what being in the Family, Youth, and Community Sciences meant; having a passion for others and learning how to turn that passion into a career. Between growing exponentially through my own personal counseling journey and being a part of a program dedicated to supporting others, counseling became the natural next step. I applied to graduate programs the following fall and began my graduate studies at Wake Forest University. During my internship year of graduate school, I had the privilege of interning at one of the most efficacious treatment facilities in the country, Skyland Trail, where I worked with individuals experiencing severe mental health disorders. I was grateful to work as a cognitive behavioral therapy counselor there after my internship. After that position, I began working in private practice and am so excited about being a counselor at Atlanta Counseling and Coaching. Working with individuals who experience moderate to severe mental health issues at Skyland allowed me to fully understand the diagnostic processes. It also helped me to find the most effective tools to help those experiencing anxiety, depression, thought disorders, and interpersonal difficulties. This knowledge, in tangent with the fact that the counseling process started for me as a client, has aided in a full comprehensive outlook when it comes to my counseling philosophy. I've been able to build empathy for clients and help them externalize their difficulties and understand the issues they are facing are separate from who they are and what they are seeking in life. I love seeing the moment of understanding, relief, or acceptance that comes with building insight as well as celebrating with clients when they see positive outcomes of healthy and adaptive behavioral changes. These two components, insight development and behavioral change go hand in hand in my counseling philosophy. When it comes to insight development, it's important for me to help clients find their "why" behind changing their lifestyles or working on certain skills. Otherwise, motivation can dwindle. However, you can still have all the insight in the world, but not know what to do with that insight- that's the behavioral component. To me, good long-lasting work takes place when a client understands their "why" and knows how to express that "why" in day-to-day living. I value independence and self-motivation, and I check-in with clients regularly and encourage them to verbalize the accomplishments they've made. This satisfies two necessities: 1. They understand they can do things on their own 2. They affirm their congruent and authentic selves. In my practice, you're going to get honest and direct feedback. However, humor and not taking ourselves too seriously make this feedback gentle and non-judgemental. It's important to establish a good relationship early on, because the sooner we trust each other, the sooner we get to work, and the sooner you feel better. When clients start therapy with me, I ask them to be open and willing to the types of activities and discussions we'll be having in session. Clients don't have to be right or know all the answers but just try to have open minds to ideas that could be helpful and insights that may have to be made. Most of the clients I see are young adults who are working through transitions in life (i.e. marriage, separation, career, graduation, independence, etc. ), or identity formation, as well as individuals who struggle with anxiety, depression, and interpersonal conflict. Hello, my name is Lisette Infante, the Clinical Director of Atlanta Counseling and Coaching. I can say that I became a counselor because I care about people, and I want to help them. I know, I know it sounds cliché -- and honestly, it’s so much more than I can put into words. I come from a big Cuban family and that entails big personalities, high cultural energy -- not to mention a million cousins. I had my very own, built-in micro-society. It was later in life that I realized I had learned how to navigate complex relationships and many times found myself being a peacemaker because of this environment. This experience helped me develop interpersonal and listening skills that I use today as a therapist. I never really thought about these characteristics as skills -- it was just the way I operated. I would like to say that I have always wanted to be a therapist, but the truth is that I didn’t realize this was my passion until I was a sophomore in college. It was in my Social Psychology class that a light bulb went off, and I realized this was what I was meant to do. The rest was history. I realized that I loved, and was good at, putting the pieces of someone’s puzzle together and helping them see the whole picture of their lives, symptoms, and goals. I've been in the counseling field for about 10 years now and worn many hats in meeting the needs of clients. In additional to a mental health counselor, I’ve worked as a case manager where I’ve supported clients in their independence and worked on the business side as well. These different roles allowed me to come to truly appreciate and understand people as a whole and not just the “problem” they are coming in and seeking support around. In these 10 years of practice, I’ve primarily worked with individuals who experience severe and chronic mental health issues such as Schizophrenia, Bipolar, Depression, Anxiety, and Personality disorders. I’ve worked with clients individually and in group therapy. The last few years I've specialized in working with thought disorders. I'm grateful to be able to help clients give a voice to their experiences and feelings when they're confused and making connections that aren't grounded in reality. I also love the journey of helping clients learn who they are outside of the symptoms they experience. Personal characteristic and symptoms often get tangled up and lumped together, and this couldn’t be further from the truth. Sometimes, in order to reinforce the difference between symptomatic experience and personality traits, I’ve supported clients in developing an independent lifestyle. This includes me visiting their homes in order to help them build structure in their lives and set "life-worth-living" goals even if symptoms persisted. One of the most meaningful compliments I have ever received came from a colleague who said they felt “seen” by me. That is exactly the type of experience I strive for each of my clients to experience and encourage the counselors who work with me to pursue. I feel this approach helps strengthen and foster a strong therapeutic relationship between therapist and client. Research has also shown this relationship is the biggest contributing factor in whether someone gets better and is able to move towards change. As I like to say, "We're all in the process of growth." In my practice, you’re probably not going to get the blank therapist stare from me or any of the counselors who work with me here. We always strive to be genuine and honest in session with clients. Sometimes, that may include telling someone something they don't want to hear or challenge them by offering a different perspective. That’s where the commitment to considering different views or explanations comes in. I can promise this: Feedback of any kind will never be coming from a place of judgement or delivered in a non-empathetic way. When starting therapy with me, I do not ask my clients to have it all figured out or take everything I say as the complete answer to all their problems. I ask my clients to be open to considering other causes or ways of looking at the world. I want us to explore “the big picture” and all the pieces of the puzzle to figure out what is not working.